We at Andrea’s Salon are here to help you with all of your salon needs, including those special occasions such as your wedding day. Let our experienced staff at Andrea’s Salon help you look beautiful on your big day. We provide a full array of bridal services for your entire wedding party. Call us at 321.638.8600 and we would be glad to find the perfect package for your perfect day. To see a list of all of our services at Andrea’s Salon, click here or visit the Services section of our website. 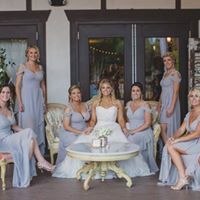 Or feel free to stop by our salon in Cocoa and one of our experienced stylists would be glad to talk to you about your big day.